Ray's Bucktown B&B Innformer: I want to ride my BIIIICYCLE! I want to ride my BIIIICYCLE! This place offers bike repairs and sells awesome bike gear, sure, but they offer so so so much more! Their website is constantly posting bike events around the city including the Bicycle Film Festival, the Chicago Bike Swap, and the Gin Run which entails riding from Scofflaw (a gin bar) to North Shore Distillery (a gin distillery). Sounds like my kinda biking. 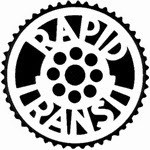 Rapid Transit has been getting Chicagoans out of their cars an onto bicycles for 20 years! If anyone knows about bikes, it’s these guys. If you’re looking for a unique bike, these folks have a wide array of different kinds of bikes including folding bikes, recumbent bikes and trikes. AND they will fix any flats for FREE for one year after purchase! Find this charming little shop just off of Logan Boulevard. They sell new and used bicycles and all manner of accessories and gear. 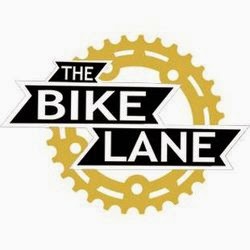 If you’re looking for a unique, possibly vintage bike, this is the place to go! And the folks are great too! Emil Wastyn, designer and builder of the original Schwinn Paramount, opened his Chicago bicycle shop in 1910, and his bike-building talent has stayed in the family. Emil’s great-grandson is the current owner of Oscar Wastyn Cycles. These are true bicycle mechanics! Self-described as an “old school, no b.s. 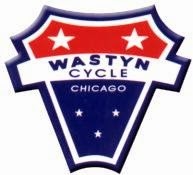 style of bike shop,” you are sure to be taken good care of at Wastyn’s. It's springtime! Adopt a pet!